This club will be comprised of members from Jammu and Ladakh. Srinagar is in the state of Jammu and Kashmir, which is known for its unparalleled beauty, warm hospitality, excellent cuisine, and great connectivity from all major cities/towns of India. The club was formed with 21 members, and the founder President of the club is Mr. Ibrahim Siah with an ever efficient and energetic Secretary, Mr. Nasir Shah. The chief guest of the Chapter Night was Mr. Syed Abid Rasheed Shah, District Development Commissioner. Mr.Saleem Baig, Mr.Mahmood Shah, and Mr.Rakesh Gupta were other dignitaries in attendance. 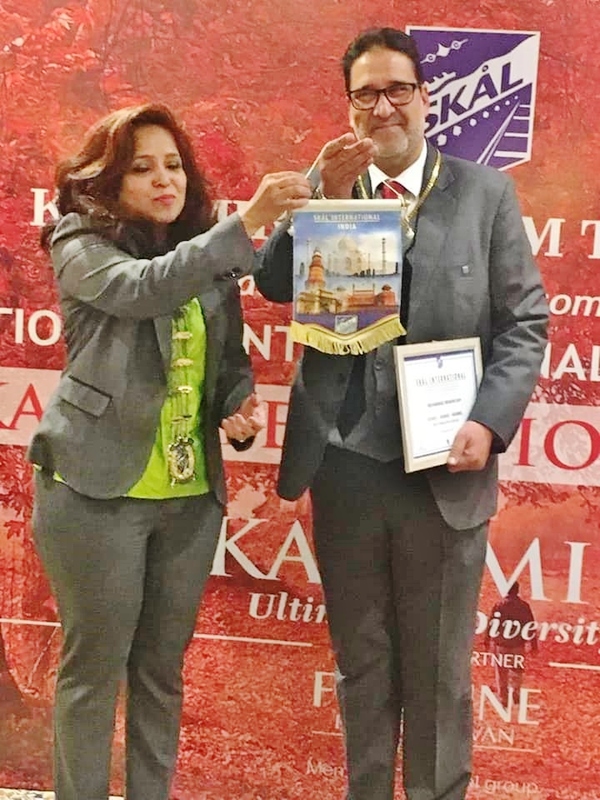 The event was well attended by the Skal India National Board and India club presidents and representatives and was hosted by ITC Fortune Resort Heevan. The event was well covered by the entire top media of the state. Club members consist of hoteliers, travel and tour operators, and adventure specialists. The state boasts great ski slopes, apple orchards, houseboats on the 24 square kilometers of the famous Dal Lake, and lastly to all Skålleagues worldwide. Srinagar is an absolute safe place to be – I experienced it. All members worldwide are welcomed to interact with the Skålleagues of Srinagar.